Height 36.5 cm (14 inches). Base measurements: 9 x 13 cm. 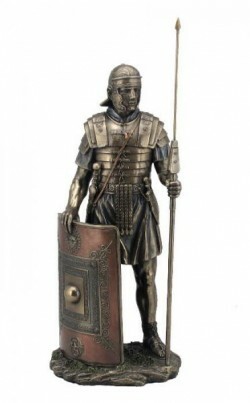 Impressive statue of a Roman Soldier with Spear and Shield.